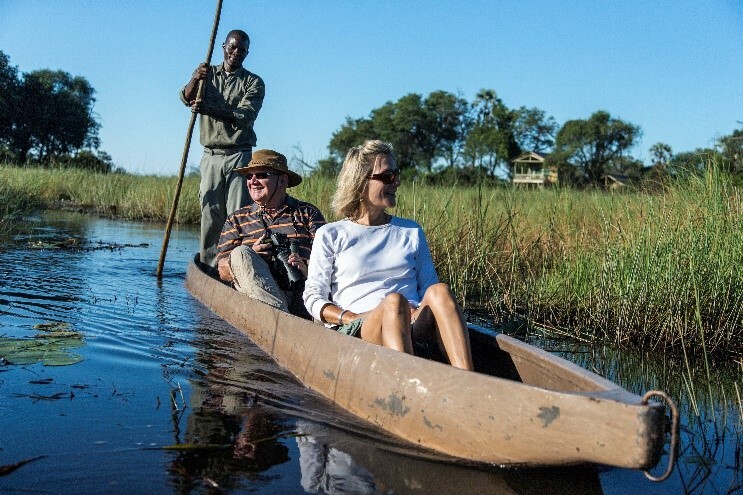 Grand Botswana Safari – The Great Canadian Travel Co.
Book by November 23, 2018 and save US$300 per person on our exclusive, escorted grand safari experience in Botswana with Margot Kalinowsky, our tour programmer, as your host. 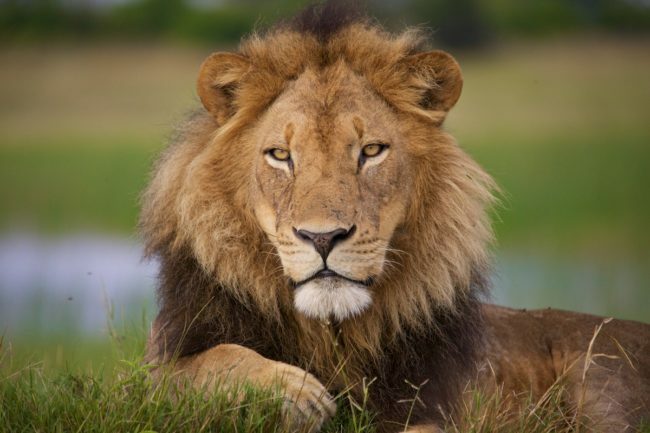 Margot has been to Africa nearly a dozen times and seeing the abundant wildlife on safari is one of her top travel experiences and always exciting! Book by November 23, 2018 and save US$300 per person. Prices are shown in US$, per person based on two people sharing a twin room. Single prices may be available, please inquire. Upon arrival to Johannesburg, you will be met by a Wilderness Safaris Representative and transferred to your hotel which will be your base for the next two nights. Depending on the times of arrival of group participants there will be an orientation meeting either this evening or tomorrow morning at breakfast. 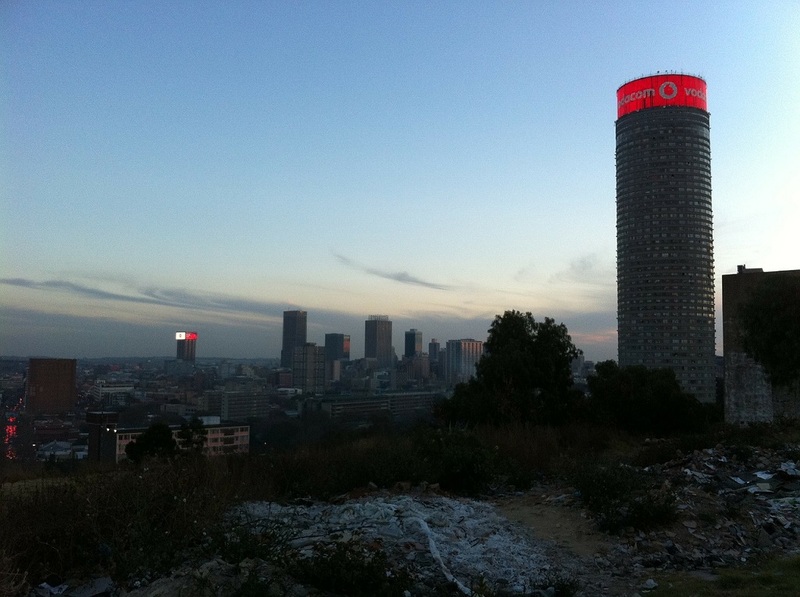 Enjoy a guided tour of Johannesburg in the morning. Johannesburg is one of Africa’s biggest and most vibrant cities. It is the economic capital of Africa and the gateway to Southern Africa. Although not as famous as other South African destinations, there is plenty to do in Johannesburg and nearby Pretoria. The old city is a multi-cultural mixture of traditional medicine shops, Chinese restaurants, taxi ranks and ultra modern skyscrapers. There are excellent museums, art galleries and organised tours of historical and political interest. The shopping is Southern Africa’s best and the many restaurants cater for all tastes. The nearby township of Soweto is Johannesburg’s most popular tourist attraction. The afternoon is free to nap and recover from jet lag or for shopping at Rosemount. 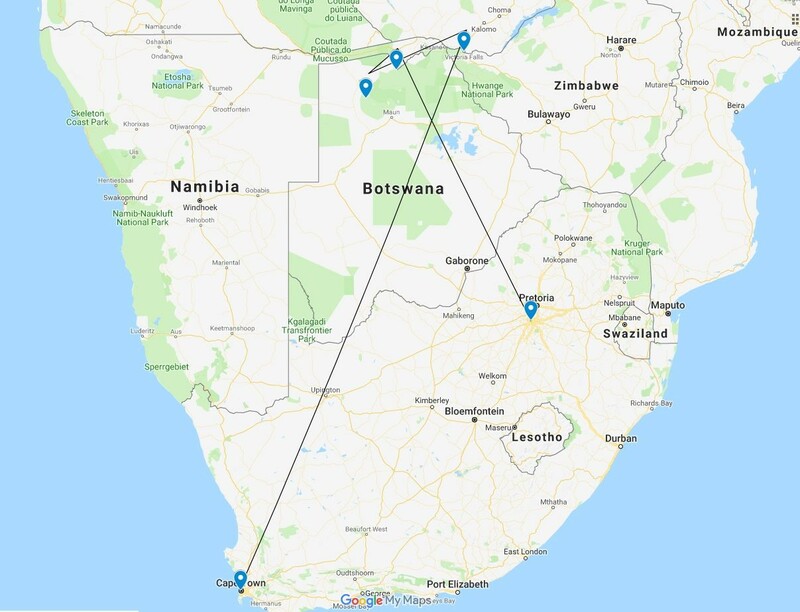 After breakfast you will depart Johannesburg on your morning flight to Maun, Botswana. While not included in the tour price we will book the flight for you to ensure the whole group travels together. The airfare cost will be quoted to you as an additional charge to be added to your package price and collected at the time of your deposit. 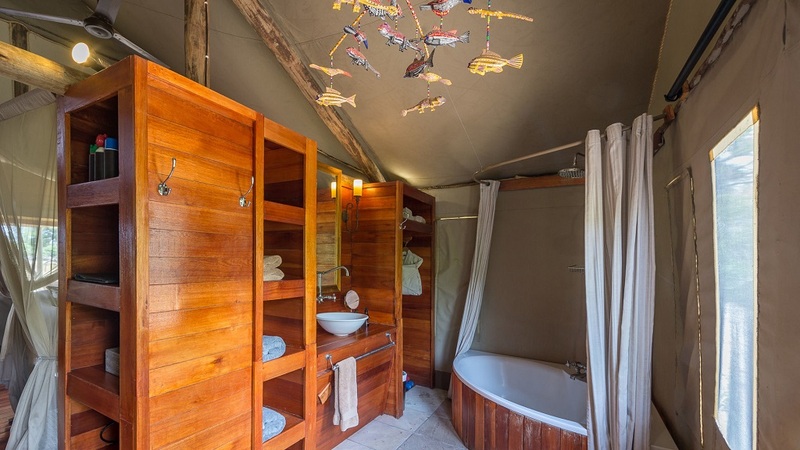 You are met on arrival at Maun airport and transferred by light aircraft to Seba Camp where you will stay for 3 nights in tented rooms with en-suite, on an all-inclusive basis (excluding premium, imported alcohol). Assuming the flights are on time you will have a sunset game drive this evening. 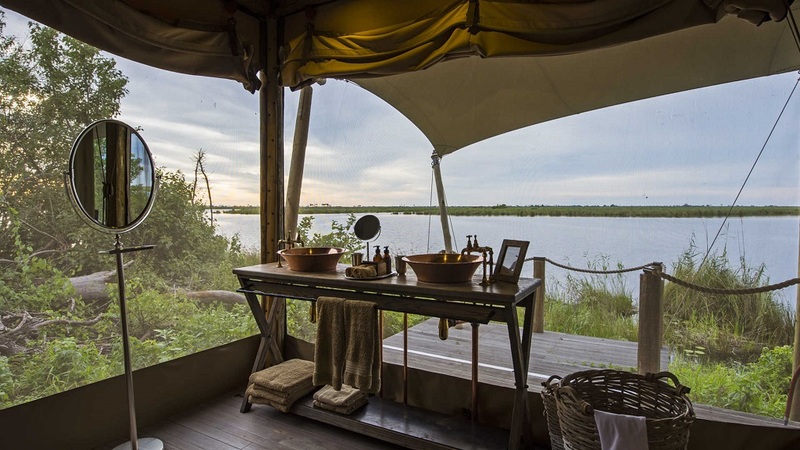 Seba Camp’s lagoon-side setting hints at the rich wildlife experience to come. You’ll be able to access the bush by game drive or mokoro or guided walks. It is set in a wildlife wonderland overlooking a perennial lagoon. 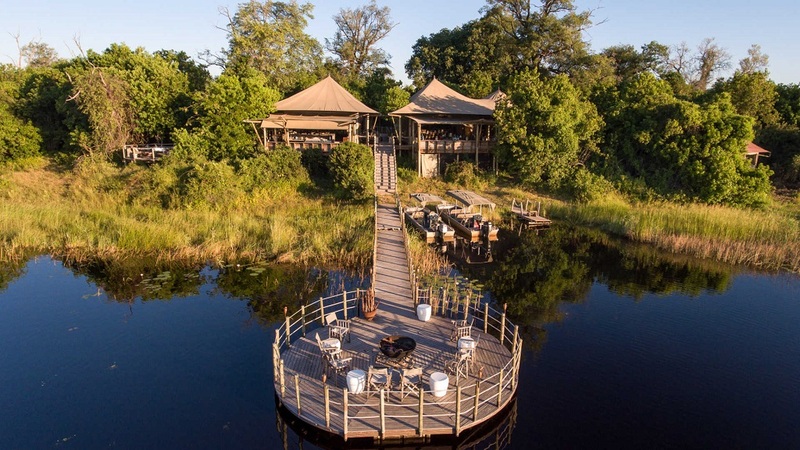 Its riverine situation in a forest of majestic hardwood trees plays host to prolific birdlife, while on the concession a variety of land and water game-viewing activities ensure that Seba delivers a classic Okavango Delta safari experience. 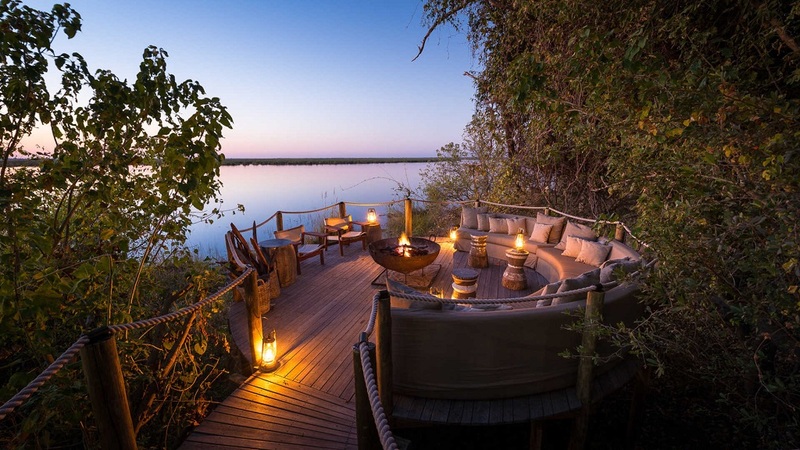 The Okavango Delta, within the Private Kwara Reserve. 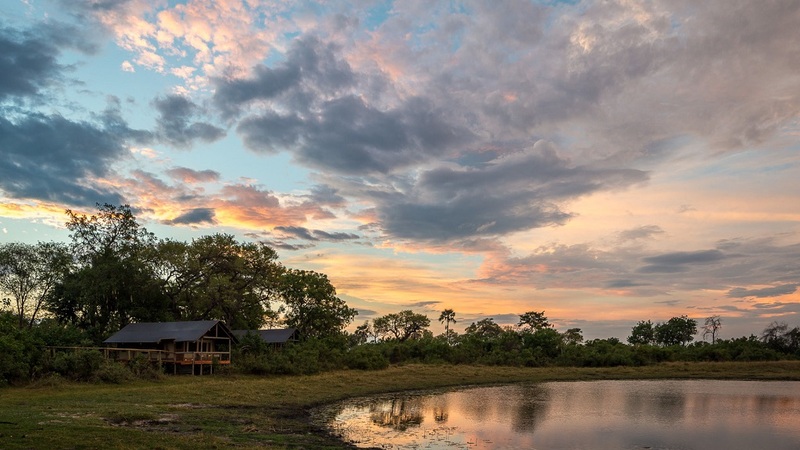 The concession shares a 30km water boundary with the famous Moremi Game Reserve and its unique location boasts both permanent water and seasonal flood plains as well as extensive dry busy wilderness. Other species you can encounter through the channels and rivers are kingfishers, pygmy geese, fish eagles, jacanas, darters and the elusive Pels Fishing Owl. Along with the bird watching, walks with a guide on one of the many palmfringed islands and night drives in addition to morning and afternoon drives. 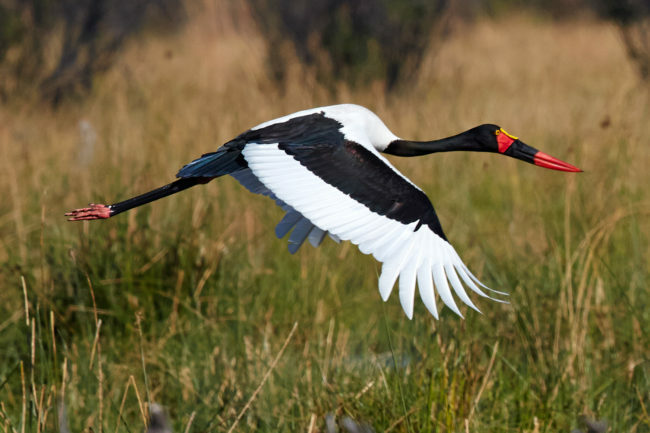 The Kwara Reserve area is also home to a variety of wild animals including, lechwe, sitatunga, reedbuck, bushbuck, hippo, crocodiles, elephant, buffalo, sable, roan, zebra, giraffe, wildebeest, impala and tsessebe. Lion, hyena, wild dog, leopard and cheetah are abundant in this part of the Delta and regularly seen. Morning and evening game drives. One of the game drives will be by boat and then by mekoro (dugout canoe). This provides an entirely different perspective of the delta and the wildlife. 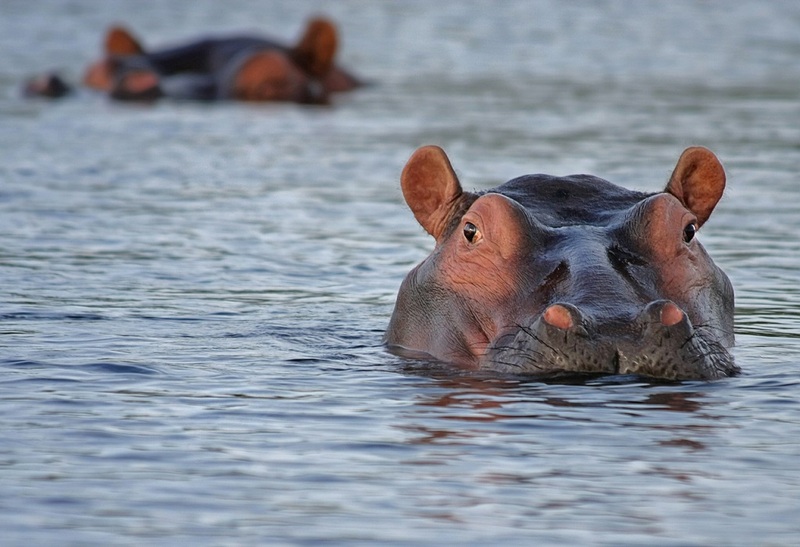 Hippos and crocodiles are abundant. Enjoy all the scheduled camp activities and amenities offered at the camp. After breakfast you will be transferred by light aircraft to Duma Tau Camp, where you will be able to explore the Linyanti Concession and all that is has to offer. 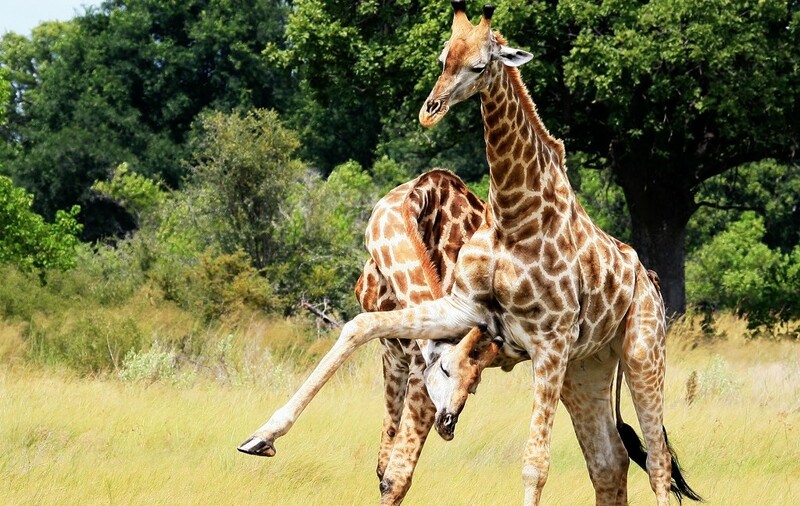 Take part in game drives during the day. Duma Tau means “roar of the lion”, but it is likely to be the elephants which make the greatest impression here. 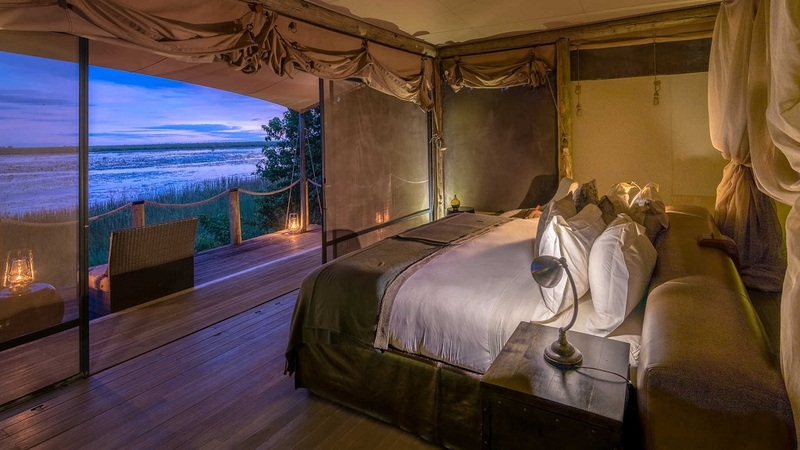 Its location in the Linyanti Concession and on the banks of Osprey Lagoon position it squarely at the epicenter of Botswana’s elephant herds that are dotted across the northern regions. You’ll stay for three nights at Duma Tau in “Star Bed” accommodation, which offer a luxurious and exciting sleep experience. You’ll have front row seats to the spectacular Zibadianja Lagoon. Morning and evening game drives. Then experience the thrill of a night drive using spotlight to find some of the less seen nocturnal animals. Morning and evening game drives. 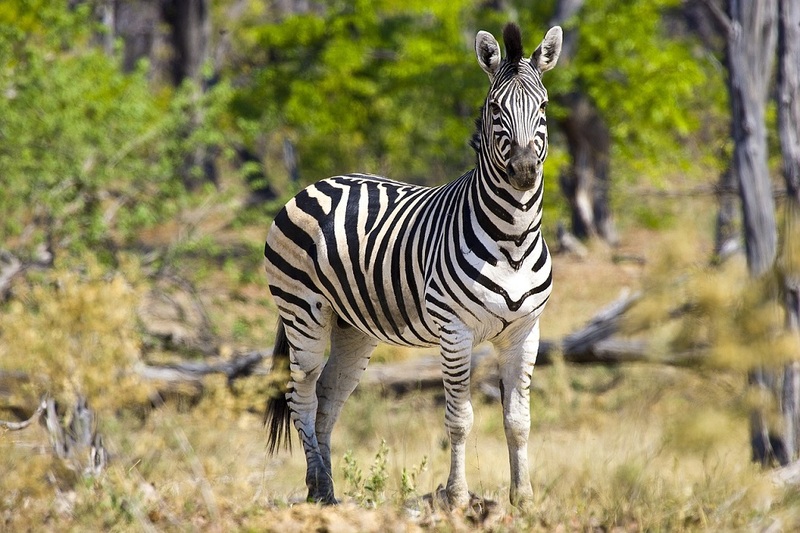 Duma Tau offers the ability to get out of the Jeep and get closer to nature by embarking on a walking safari. After breakfast it’s time to say farewell to the Linyanti Concession and your camp. Transfer to Kasane Airport, Botswana. Upon your arrival at the airport, you will be met by a Wilderness Safaris Representative and transfer by road directly from Kasane Airport to Victoria Falls. The Kazungula Road Border Post, about 10-minutes drive from the airport, links Kasane, Botswana to Victoria Falls, Zimbabwe. Your Zimbabwean visa is obtained at the border post. From here it is about a one-hour drive to Victoria Falls. Check in to your accommodation at the unique, memorable, Moorish-design hotel, Victoria Falls Rainbow Hotel. Nestled in an amphitheatre of virgin rainforest it is within walking distance of the town centre and only 2km from The Falls. Enjoy the amazing view at “The Panorama” deck of “The Smoke that Thunders” as the massive spray of Victoria Falls is known locally. Tour Victoria Falls in the morning with the afternoon spent at your leisure exploring the town and shops. 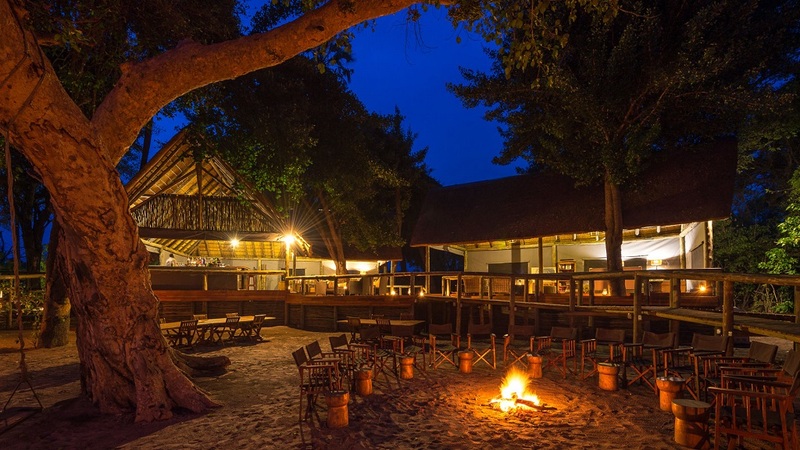 Dinner at night will be a traditional “boma” and will feature a full cultural entertainment evening. After breakfast, you will be transferred to the airport for your flight to Cape Town, stopping briefly in Johannesburg. Upon arrival in Cape Town, you will be met by a Wilderness Safaris Representative and transferred to your hotel where you will be stay for the next five nights. The Radisson Red V&A. Tucked in the heart of the V&A Waterfront, the Radisson Red is more than just a hotel. Soak up the sunset over Table Mountain from the rooftop bar, explore Cape Town with its many shopping boutiques, art galleries and its bustling nightlife. 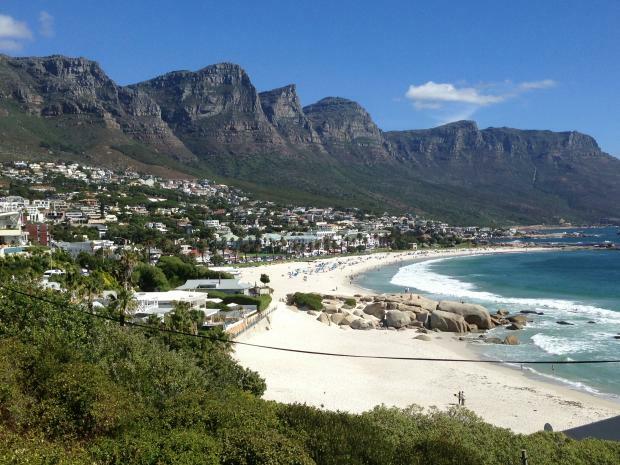 Known as one of, if not the most beautiful city in the world Cape Town really does offer it all, from ocean side beaches, to stunning views from the surrounding mountains, to excellent wine from many nearby vineyards and breathtaking coastal drives. A great escape from the cold winter weather in Canada and the Northern US. Wine and food go hand in hand. 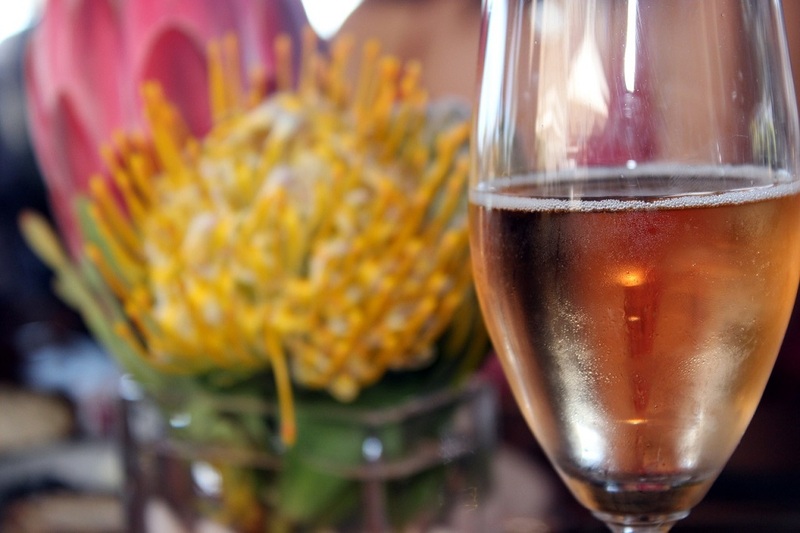 On this tour you’ll be guided through Cape Town’s wine regions, sampling as you go along. Stellenbosch is a university town on the Western Cape. 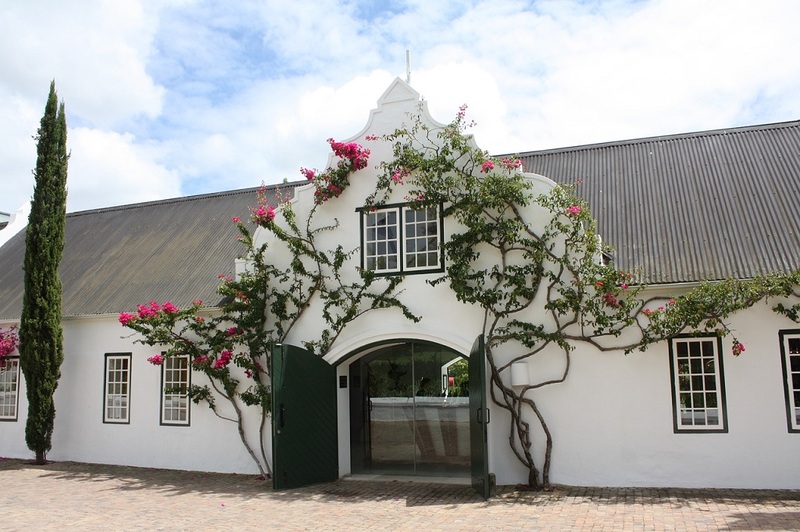 There are more than 200 wine and grape producers within the boundaries of the Stellenbosch Wine of Origin classification. Franschhoek is known for having some of the top restaurants in the country within its borders. 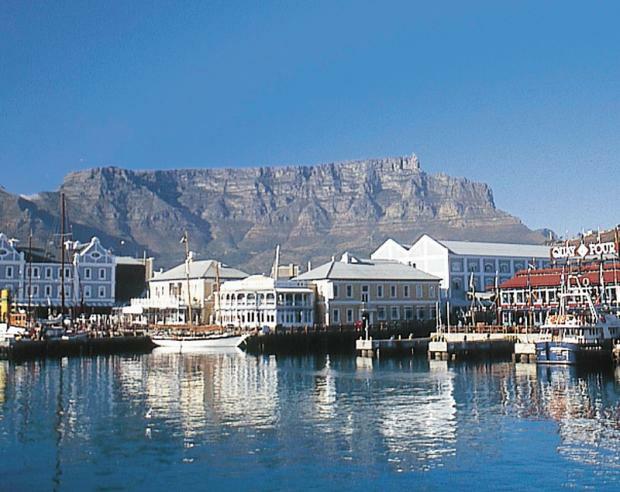 Together with the strong wine culture has made this area known to some as the “food and wine capital” of South Africa. Take the cable car to the top of Table Mountain (weather permitting) and experience the fantastic views of the 12 Apostles. Take a guided tour to the Cape of Good Hope, the place that marks the point where a ship begins to travel more eastward than southward. It is a section of the Table Mountain National Park. 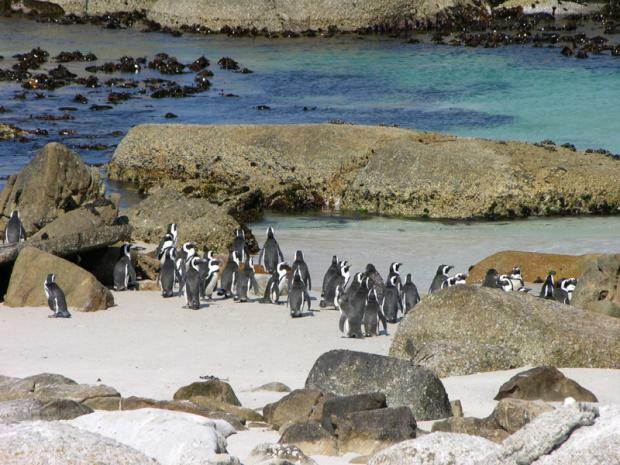 Stop at Boulders Beach to observe the African Penguin and see if you can figure out why they are called “Jackass Penguins”. The Cape is one of the world’s six floral kingdoms and has the highest concentration of plant species in the world. Today you’ll take in a tour of Robben Island, Dutch for “seal island”. Since the end of the 17th century, Robben Island has been used for the isolation of mainly political prisoners, a leper colony and an animal quarantine station. Its most famous prisoner was Nelson Mandela. It is now operated by the Robben Island Museum as a living museum, declared a World Heritage Site in 1999. Many of the guides are former prisoners. Today is at leisure. Explore the marina, the conservatory, the markets, the shopping – all are available within walking distance. Or you can go to one of the various beaches, deemed some of the best in the world in an urban setting. Time to say goodbye to the beautiful city of Cape Town and your group members. Transfer to the airport for your flight home. We can arrange for you to stay an extra day or two in Johannesburg before your tour to fit around your flight schedule. Local touring can also be added in to your program for you, if time allows. Please inquire for pricing.